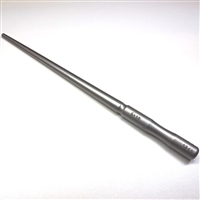 Swiss made round bezel mandrel.11" Long x 1/2" to 1/8" taper. Hardened to a high polish. 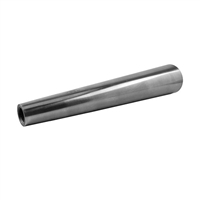 Graduated round steel ring mandrel, sizes 1-16, no groove. Made in USA. 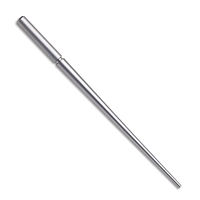 Graduated round steel ring mandrel, sizes 1-16, with groove. Made in USA. 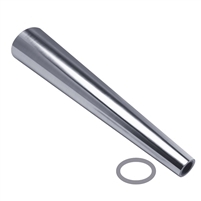 Used for fabricating catches, jump rings and other items that require small bezels. 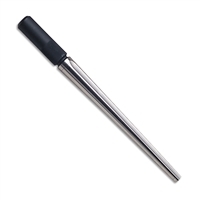 Can also be used to set stones. Excellent smooth surface. 5mm to 12mm. 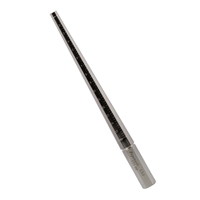 Overall length is 225mm. Top quality, made in Italy.